MicroVue PYD provides a quantitative measure of pyridinium cross-links (Pyd and Dpd) as an indicator of type I collagen resorption, especially bone collagen. Pyd and Dpd are excreted unmetabolized in urine. 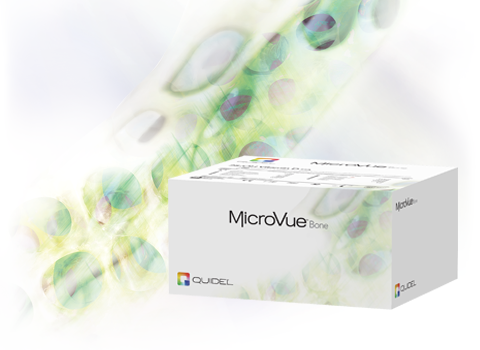 MicroVue PYD is intended for use as an indicator of type I collagen resorption, especially bone collagen. 96-well microplate with reagents sufficient to test 40 samples in duplicate Antibody Specificity: The antibody in the assay has a selective, high affinity for free Pyd and Dpd and negligible binding to Pyd and Dpd peptides.